Soemmering’s ring is an after-cataract complication most commonly seen in youthful patients who have had ocular cataract surgery. First described in 1828 by distinguished German ophthalmologist D.W. Soemmering (1793-1871), the condition is defined as a type of regenerating lens substance with a peripheral disposition that often goes undetected unless it becomes centrally dislocated or the pupil is widely dilated. Persons with Soemmering’s ring present with growth of residual epithelial cells which form a whitish fluffy like substance referred to as after-cataract. Adhesions of the anterior and posterior capsules cause uninhibited growth of lens fiber. In cases where the posterior capsule remains intact, a variety of management techniques have been described in peer-reviewed literature. However, in cases where Soemmering ring is associated with posterior capsule rupture (PCR), additional posterior capsular defect management along with Soemmering’s ring management and secondary Intra Ocular Lens (IOL) implantation will be necessary, according to Indian opthalmic surgeons Amar Agarwal, MS, FRCS, FRCOphth, and Priya Narang, MS, writing in the Ocular Surgery News U.S. Edition published February 10, 2015 and posted online by the health care news portal Healio. The coauthors say removal of Soemmering’s ring is essential, and must be followed-up with proper IOL placement because the condition may induce IOL tilt in addition to occupying space in the capsular bag. They note that among various procedures and techniques that have been described for Soemmering’s ring management, an innovation by Dr. Amar Agarwal called Glued IOL scaffold, in which specialized IOLs can be implanted in cases where standard IOL techniques cannot be implanted can be successful. In the Glued IOL procedure, the lens is fixed in its normal position with the help of Tissue Glue (Gum) made from human serum that is used for safe emulsification of Soemmering’s ring material, and to seal the flaps after tucking the lens. 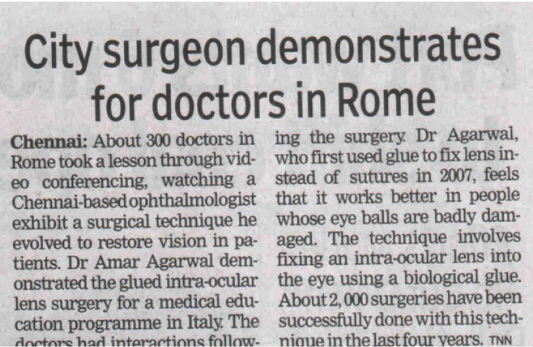 Dr. Agarwal’s Eye Hospital — which operates at several locations in India, with its its flagship facility at Chennai, is claimed to be the first and most successful eye hospital to offer the Glued IOL procedure. The Narang Eye Care Hospital in Delhi where Dr. Narang operates, the only certified centre in western India offering the Glued IOL procedure, says the technique is especially beneficial in children with dislocated or subluxated lenses which may be due to a congenital disorder, and in adults due to traumatic dislocation of the normal lens, and is applicable in all complicated cases with virtually no contraindication, and that post operative results are typically very good and the patient rehabilitation very fast. Dr. Agarwal notes that Glued IOL technology can eliminate the need for patients who are aphakic (that is; IOL not implanted after cataract surgery in past) to wear thick glasses after surgery, and most importantly, no sutures are applied in the application of this technique, as opposed to older techniques in which sutures were applied resulting in more complicated surgery. 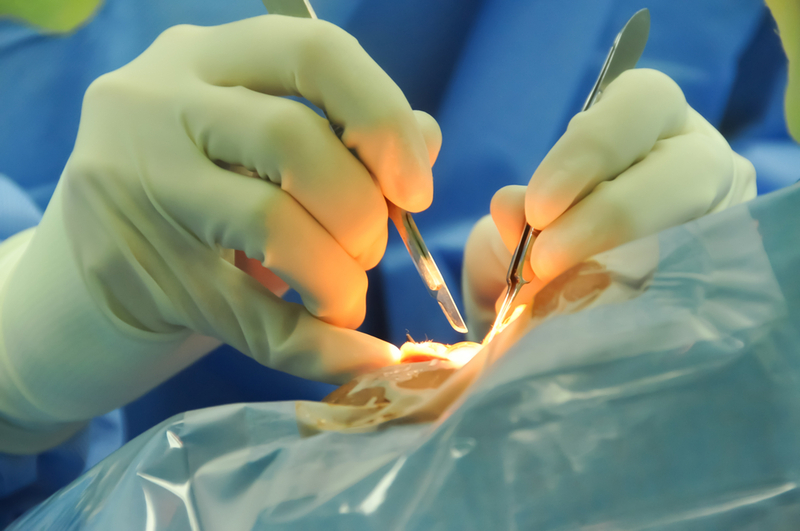 Sutures used to fix an IOL can degrade and loosen over time and eventually lead to complication. Drs. 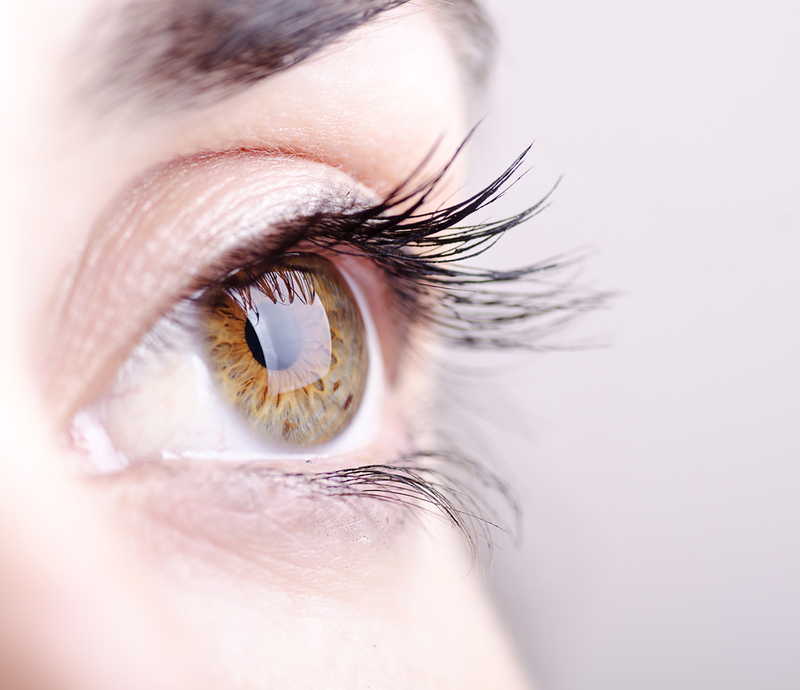 Agarwal and Narang describe the Glued IOL procedure in considerable detail in their Ocular Surgery News/Healio article. Dr.Agarwal’s Eye Hospital Limited founded by Dr.J.Agarwal and his family members, was incorporated in 1994, although the entire family had been in the eye care profession for almost five decades prior to that, through various family owned and operated private limited company and partnership firms. The Narang Eye Hospital is also a family-owned firm, founded and operate by Dr. S.K. Narang and his family. 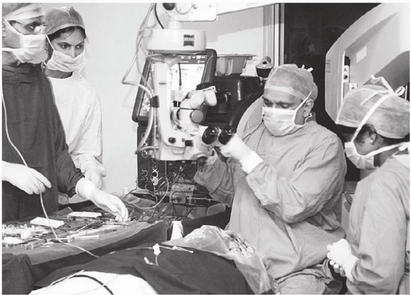 The entire Narang family had also been in the Ophthalmic care profession for almost four decades prior to establishing the hospital, which has today trained and developed a team of highly skilled Ophthalmic specialists and surgeons. 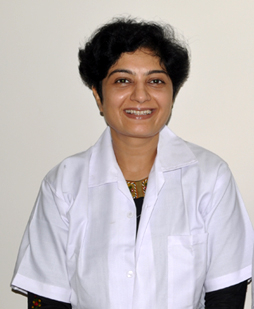 Dr Priya Narang is also the only surgeon in Gujarat who performs Glued Intraocular Lens Technology surgery. Tagged cataract surgery, Glued IOL, Soemmering's ring.